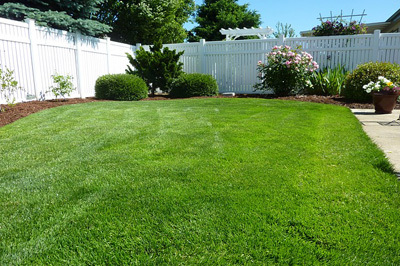 Are you looking for Fencing Surveys in Lyndhurst, NJ? Omland & Osterkorn are an accomplished engineering and surveying firm with expertise in performing Fencing Surveys in Lyndhurst, NJ. Locating the edges of a property is critical to understanding how your fencing project’s specification. To find out if a property has any easements you are unaware of that could interfere with fence construction. Help to determine if a property is in a floodplain. This can affect your fence design. Identify encroachments from other properties. Omland & Osterkorn uses the latest in manual and robotic surveying equipment and the most advanced software to ensure that our clients will have the clearest possible picture of where their property begins and ends so that they understand how to construct their fence. Our Surveyors are also well versed in researching easements and encroachments and, working in concert with attorneys, can help clients protect their legal right to control their own property. Omland & Osterkorn Surveyors are experienced at expert testimony for legal matters relating to boundary disputes. Omland & Osterkorn are dedicated to helping our clients get the most out of their properties and build their fences for privacy and security, no matter where they begin or end. For more information about Fencing Surveys in Lyndhurst, NJ, speak to one of our Surveyors at 973-647-7820. Omland & Osterkorn – Your Trusted source for Fencing Surveys in Lyndhurst, NJ.